David Oakford's story is true, real, and utterly profound. Although street drugs were clearly the initial for this NDE, what happened next was a full-blown ascended state of consciousness that is well-documented in the spiritual and scientific literature. This book is once again revealing that NDE's are not magic, nor do they produce saints. And we can think David for baring his soul as to the psychic struggles and the depression that followed his awakening. 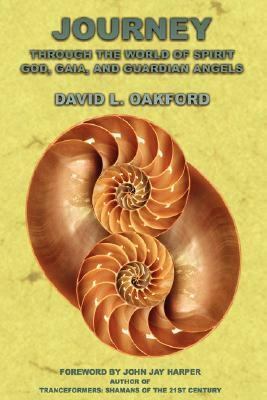 Because ultimately there emerged a transformed man who knew, positively knew, that there is more to life and death than we are taught in our religious organizations, and more to God's greater plan for us than we can imagine today.Oakford, David is the author of 'Journey Through the World of Spirit: God, Gaia, and Guardian Angels', published 2007 under ISBN 9780979175091 and ISBN 0979175097.